I had few bananas, which were untouched and became ripe. And I thought it was time to put them to some use. The first thought that came into my mind is a banana cake….. but I am such a chocoholic that I wanted some chocolate also in the cake. So the best thing is Chocolate Banana cake. The bananas add the extra sweetness to the cake and keep it really moist and fresh for 2 or 3 days. It is perfect as tea time cake. Butter and flour the bases of two loaf tins. Melt the chocolate either in the microwave or in a small glass bowl set over a pan of barely simmering water. Stir until smooth and remove from the heat. Cream together the softened butter and sugar until pale and fluffy. Gradually add the eggs, one by one, beating well between each addition. Sift together the flour, baking powder and cocoa and fold in using a large rubber spatula. Add the mashed banana and chocolate and mix well. Divide the mixture between the 2 tins and bake for about 45 minutes or until a skewer inserted in the middle comes out clean. Cool on a wire rack. I used dark bitter chocolate, and J dint like that bitter taste in cake. So I would use plain chocolate next time. Wow! It’s a lovely cake. Icing sugar just makes it looks great! they look so tempeting. i want have a slice with a cup of coffee. perfect for an evening. really nice. i must try it out, i too have a few bananas. they look so lovely.. with that perfect crack. 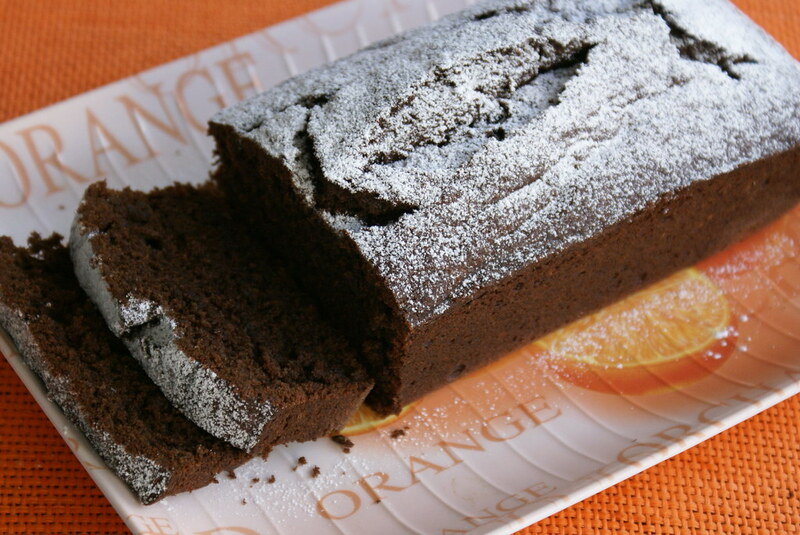 Just this morning I was looking at a chocolate banana cake at joyofbaking.com. Will try your version over week-end and give a feedback. forgot to tell u…I made again ur Mirchi Bajji yesterday. it’s yum…yumm…! The cake looks tempting.Dusting icing sugar makes it look Fab. Cinnamon,thanks for stopping by and as regard to size of the cake tin.I used muffin mould to bake the cake but u can also use a 22 cm tin. 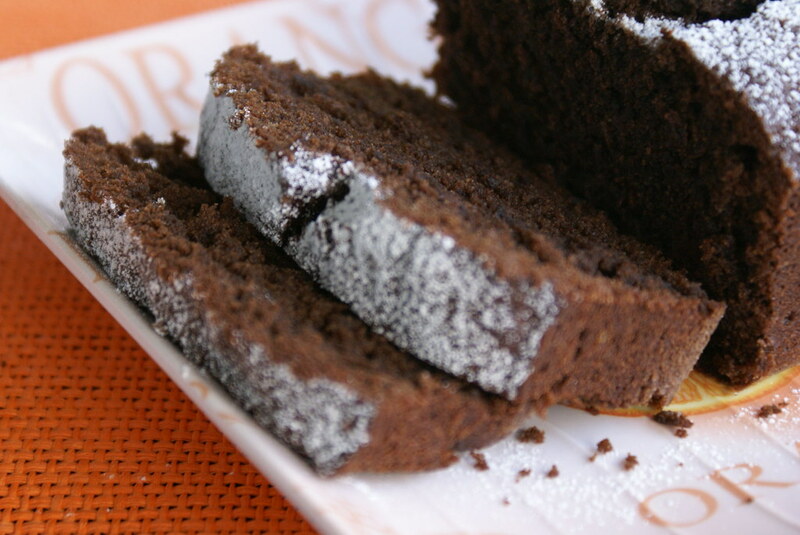 the cake looks moist, crumbly and chocolatey..perfect! Cake looks so moist and perfect…. How can chocolate cake be anything but delicious. Lovely. I have something waiting for you on my blog.. check it out.. I want it right now. It is so mouth watering. this looks fab…i love the first pic with the sugar dusted cake…awesome!! 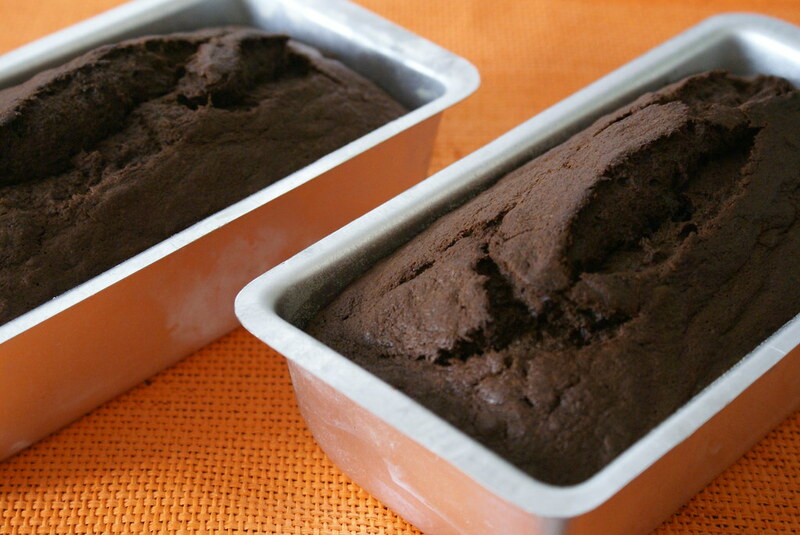 I made banana bread last weekend but this sounds better ~ mostly because of the chocolate. What a pretty cake. The photo is stunning. I would love to feature your recipe on our blog and the Demy, the first and only digital recipe reader. Please email sophiekiblogger@gmail.com if you’re interested. Thanks! how 2 make yummy cakes without eggs….. plz give me optional thing of eggs……. I will post a cake recipe without eggs soon. Keep visiting!! !